Found 16 blog entries for August 2013. Tuesday, August 27th, 2013 at 3:43pm. Similar conditions exist in the Ogden and Ogden Valley markets. More to come on this in next month's news letter. Monday, August 26th, 2013 at 3:37pm. September will be upon us shortly, and that means summer is slowly winding down. With the conclusion of summer comes the end of this year’s Blues, Brews, and BBQ Concert Series at Snowbasin. Indeed, the series is two-thirds complete; only five shows remain on the concert schedule. If you still have not been to one of these free concerts at Snowbasin, what are you waiting for? We invite you to come up this Sunday, September 1st, for the latest edition of Blues, Brews, and BBQ, featuring the Reverend Peyton’s Big Damn Band and special guest Bullets and Belles. Monday, August 26th, 2013 at 3:29pm. We love living here in Ogden Valley. It is truly beautiful here—in more ways than one. One of our favorite things about living here is that life here is about 20 years behind the times—in a good way, of course! What we mean is—life is simple here. We ski, we bike, we hike, we boat, and we play with our kids. We know our neighbors, and they know us. Ogden Valley is a community, a community whose members are somewhat accountable to each other, and we love that. Nothing exemplifies that very notion more than the Community Foundation of Ogden Valley and the Amazing Raise. Friday, August 9th, 2013 at 3:21pm. Calling all music fans! It’s time once again for our weekly Blues, Brews, and BBQ Concert Series update. Only six concerts remain on the schedule this summer, so if you have not yet made it up to Snowbasin to catch a show, your opportunities are dwindling. Some amazing artists have graced the stage at the Patio at Earl’s Lodge so far, and many awesome acts still remain, so don’t miss out! Ad if you’re a fan of reggae music, you definitely don’t want to miss out on this week’s Blues, Brews, and BBQ concert, as Snowbasin welcomes local reggae bands The Codi Jordan Band and Know Ur Roots on Sunday, August 25th. Thursday, August 8th, 2013 at 3:09pm. Mountain Luxury Real Estate is thrilled to announce the sale of this fabulous home at 4190 N 300 W in Pleasant View, Utah. With this transaction, the family who purchased this home nabbed an exquisite property from the Ogden real estate market. Thursday, August 8th, 2013 at 3:02pm. Mountain Luxury Real Estate is pleased to announce the sale of this fantastic home at 2543 N Sierra Drive in Eden, Utah. We are so happy to have worked with the family who purchased this property, to have helped them find their dream home. This home truly is the home of their dreams, and with this purchase, they stole a hidden gem from the Ogden Valley real estate market. Thursday, August 8th, 2013 at 2:55pm. 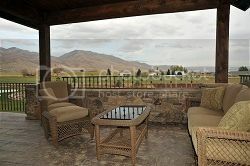 Mountain Luxury Real Estate is pleased to present this home for sale at 3159 E 4400 N in Liberty, Utah. 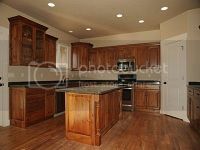 Are you searching for a luxurious yet affordable family home in Ogden Valley? Look no further; this home may be just what you’re looking for. There’s much to love about this beautiful ranch-style home. To see just what we love about it, simply read on! Thursday, August 8th, 2013 at 11:54am. Mountain Luxury Real Estate is thrilled to present this home for sale at 3393 N Cloud Peak Court in Eden, Utah. If you’re searching for a ski or vacation getaway retreat in Ogden Valley, look no further than this home. Located in the Trappers Ridge subdivision in Eden, this home is conveniently located within short driving distance of multiple winter resorts. Snowbasin Resort, for example, is 30 minutes to the south, while Powder Mountain and Wolf Mountain are both within 15 minutes. Tuesday, August 6th, 2013 at 11:42am. Mountain Luxury Real Estate is thrilled to present this stunning luxury home for sale at 942 S 9275 E in Huntsville, Utah. If you’re on the market for a luxurious country home in Ogden Valley that offers significant living space, elegant features, horse property, and gorgeous views all at a price you can afford, you need not look any further. This home may be just the home of your dreams! Tuesday, August 6th, 2013 at 11:35am. Attention, friends! It’s time yet again for our weekly Blues, Brews, and BBQ Concert Series update. With seven shows down and eight remaining, the Blues, Brews, and BBQ Concert Series is almost halfway over. If you still have not made it to Snowbasin to catch one of these excellent—and free—shows, why not check it out this weekend? This Sunday, August 11th, Snowbasin will welcome Jeff Crosby and the Refugees, along with special guest The Kap Brothers Band, to the Patio at Earl’s Lodge for the latest installment of the Blues, Brews, and BBQ Concert Series.